DESCRIPTION Tastefully done this home displays rich finishings throughout. Lots of upgrades to note in this bungalow from Granite Counter tops, gorgeous maple cabinetry in kitchen and built in vanity in en suite, under mounted lighting in kitchen, raised breakfast bar/ island, vinyl plank flooring, Gas fireplace, coffered ceilings in living room & master, Under mount kitchen sink w/ Blanco faucet and good sized West facing Deck with view of the Foothills & Mountains. Large Master bedroom w/ big walk -in closet and 4 piece en suite. Another Bedroom and office ( which could be a bedrooms) upstairs. Pantry and main floor laundry leads the way to the Double attached garage. Downstairs is finished with a huge Family Room and 4 piece bathroom with quartz vanity top. Two more bedrooms down leaves lots of options for guests or larger families looking for the extra room. If living in town and having awesome views of the Foothills is important to you then this is the place for you! Nanton has a well known golf course, Rec Facilities, Schools, parks and many offer amenities that makes this a truly great place to live and call home. 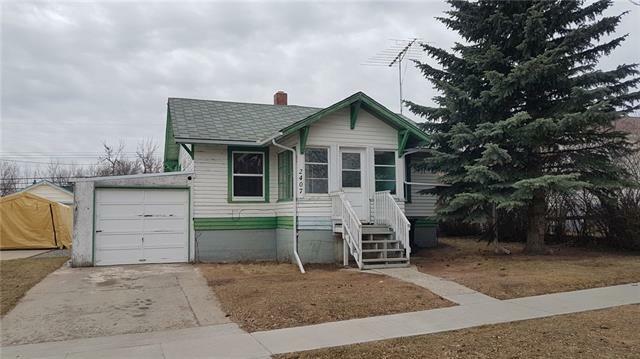 Home for sale at 2017 31 Av Nanton, Alberts T0L 1R0. Description: The home at 2017 31 Av Nanton, Alberta T0L 1R0 with the MLS® Number C4210586 is currently listed at $407,800.